Saturday morning I woke up and did a hard workout at Nor-Cal Strength and Conditioning I decided I needed some post-workout carbs to feed my new muscles! Here is the recipe for the yummy hash I made! This hash is spicy, simple, and satisfying. It comes together fast and is a great source of healthy carbohydrates for a post morning workout meal! Ditch traditional hashbrowns for this nutrient-dense breakfast. 1. Peel and cube the sweet potato. Put it in a bowl with 2 tablespoons water and cover with plastic wrap. Microwave it for 3-4 minutes or until potatoes are tender but not mushy. 2. Dice the bell pepper and red onion. In a large frying pan coated with coconut cooking spray, add the sweet potato, bell pepper, red onion, chili powder, garlic powder, red pepper, and salt and pepper. Fry over high heat for 2-5 minutes. Stir occasionally only until the ingredients get browned. Set the hash aside when it is done. 3. Thinly slice the chicken sausage and brown it over medium heat. In a separate pan, pan fry the eggs. 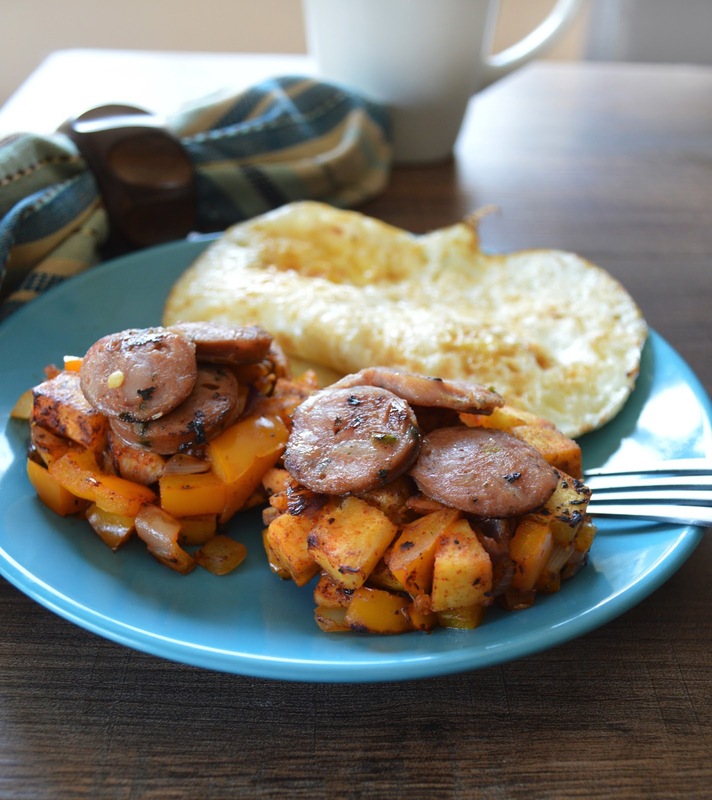 Serve hot with the sweet potato hash. While experiencing many articles and articles I find this article is best to give users the best information for adware removal process.